Like those spherical lip balms? There' a new one is the aisles from Softlips. 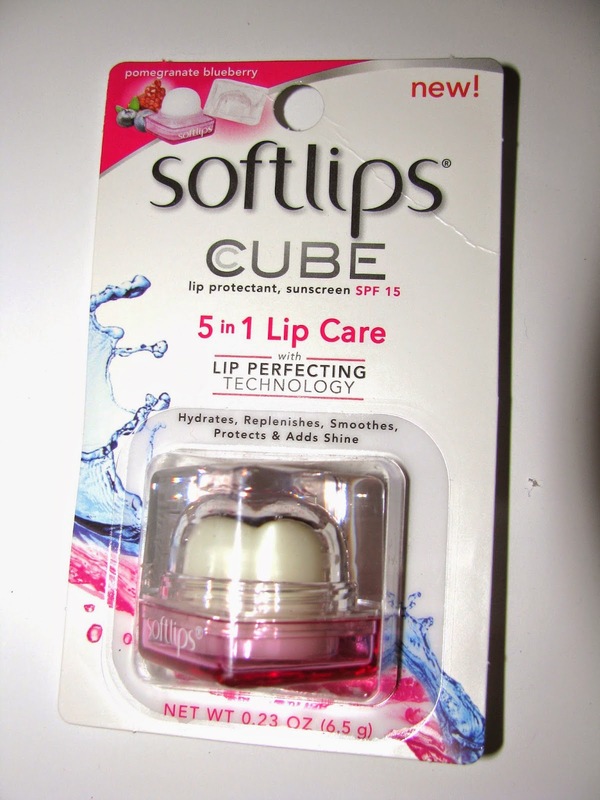 The Softlips Cube is moisturizing and has SPF 15 . The moisture level is good with shea butter and sunflower seed oil in the ingredients. 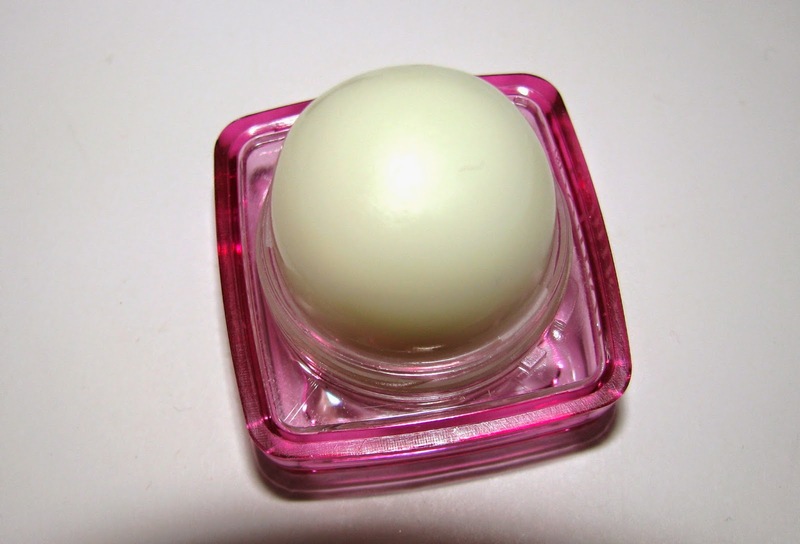 It glides easily on lips and I found it to be more moisturizing than the other well known round lip balm by EOS. The Cube comes in three flavors, Fresh Mint, Vanilla Bean and Pomegranate Blueberry. I have the pomegranate blueberry which tastes delicious. Very berry, but there is a hint of menthol in there as well. The packaging mentions it gives you a bit of shine, and really it's barely there . There is no color or tint. 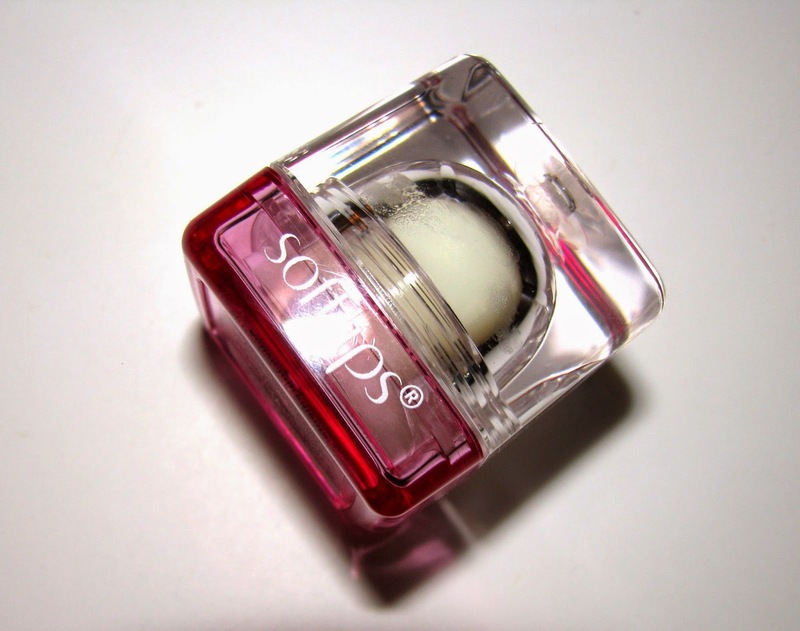 The round balm sits in a transparent cube which gives it a more stylish look than some other balms. 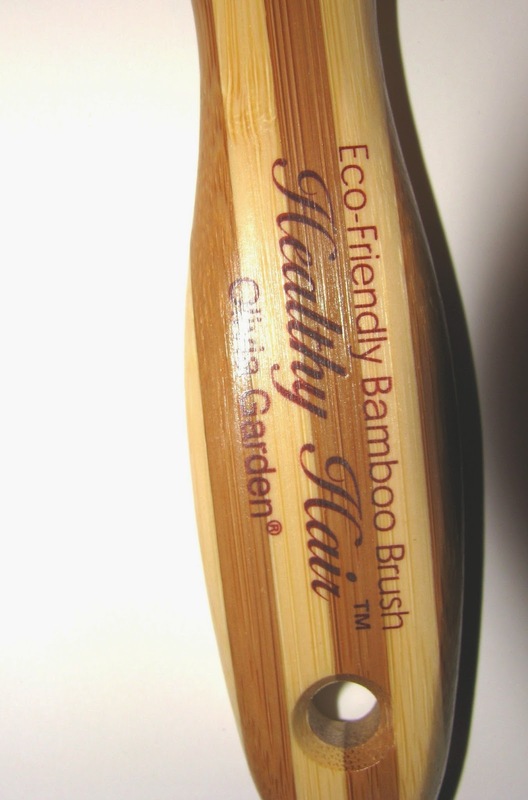 I had a chance to try out a new brush from Olivia Garden. I had seen the brand on trips to Ulta previously. 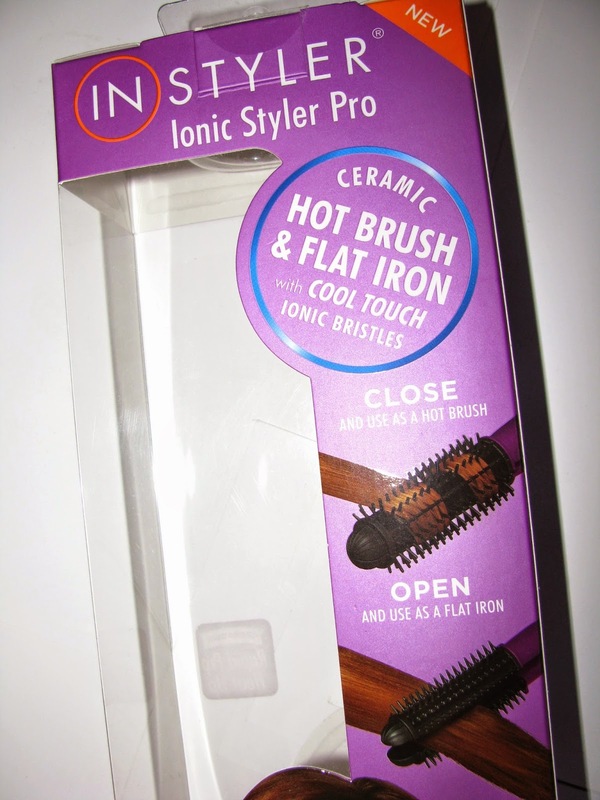 The company makes a wide selection of brushes , mine is the Ionic Large from the Ionic Paddle line. 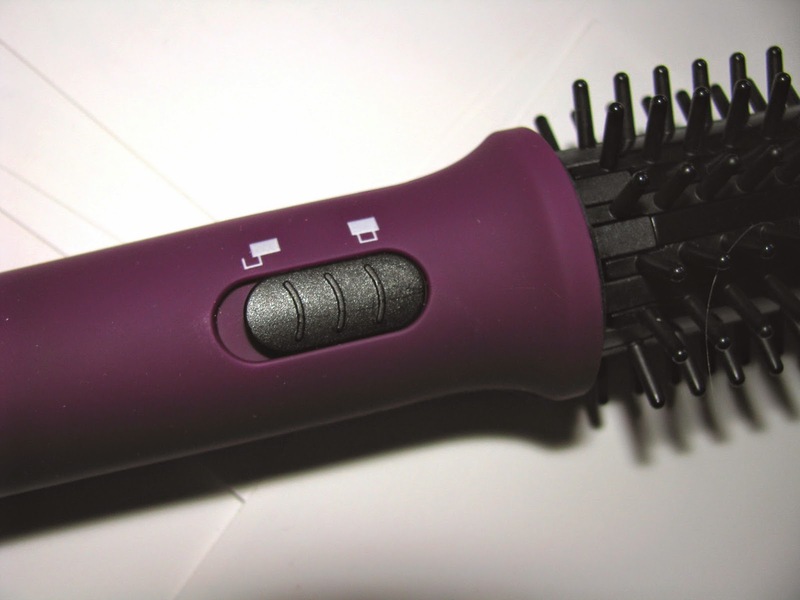 The Ionic Paddle Brush's cushion and bristles are ionic and anti static. It smoothes through my thick hair easily and works well when blow drying . I only use it a little during drying as I use a round brush most of the time, but I wanted to test it under blow dry conditions. As my everyday hair brush , it's a definite like and I plan to check out the line more extensively next time I am in Ulta. 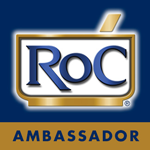 RoC wants to help you learn more about skincare. They've launched the RoC Academy , an online portal that offers five "lessons" on skin like Anti-Aging Myths and How Retinoids Differ. The lessons are simply done, don't take much time ,but are informative . From there if you want, you can explore their product offerings. At the end of all lessons there will be an option to get an e-coupon. Take a look at http://www.rocskincare.com/academy and be sure to turn the sound up. 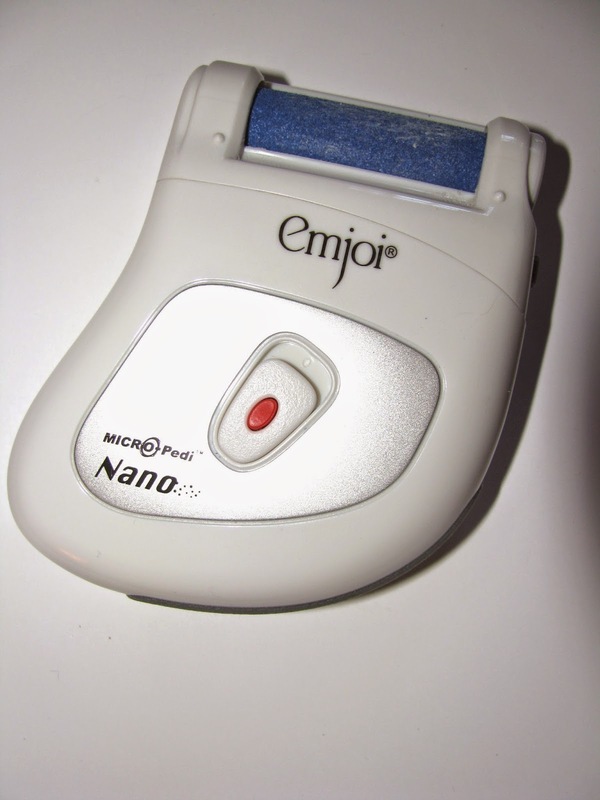 This new Emjoi Nano Pedicure Tool is pretty neat. A smaller version of the Micro Pedi, which I have never tried. 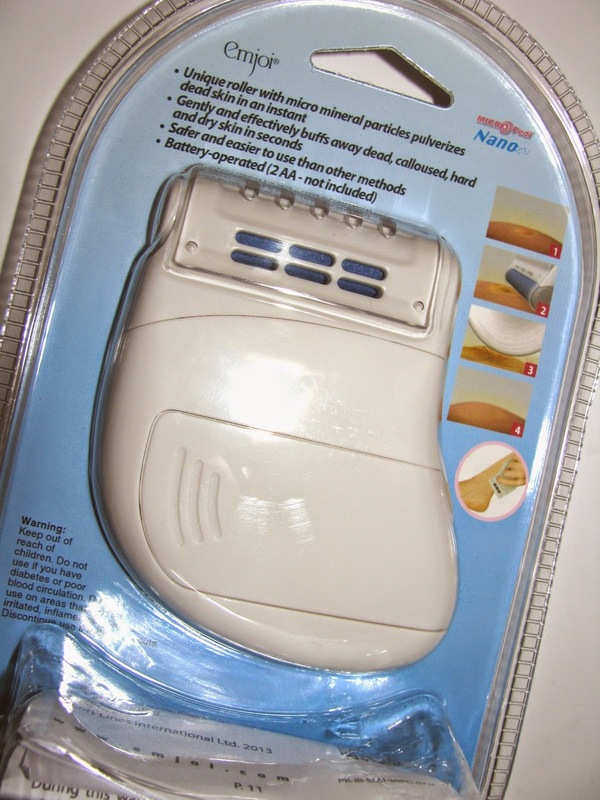 It's a battery operated callous smoother, and totally gets the job done on feet that need some TLC. And my feet, oh do they need it. I haven't gotten the Spring pedi yet , so testing this on my feet gave it a good workout. The smoothing bar roller goes right against the foot and smoothes with a 360' roller at 30 times a second. It doesn't take long and it's not hard or harsh on your skin with normal use time. A few seconds basically. My feet were smoothed out and feeling far better then they had been. The Emjoi will also be a great tool to use in between pedicures. You'll be able to stretch the time a bit longer and if you're like me, barefoot on the pool patio all Summer, keep away the roughness from that. This is sized small enough to travel with at 3 1/2 inches and there are attachments as well for other areas like elbows but that's not something I've explored . You will need 2 AA batteries for use. 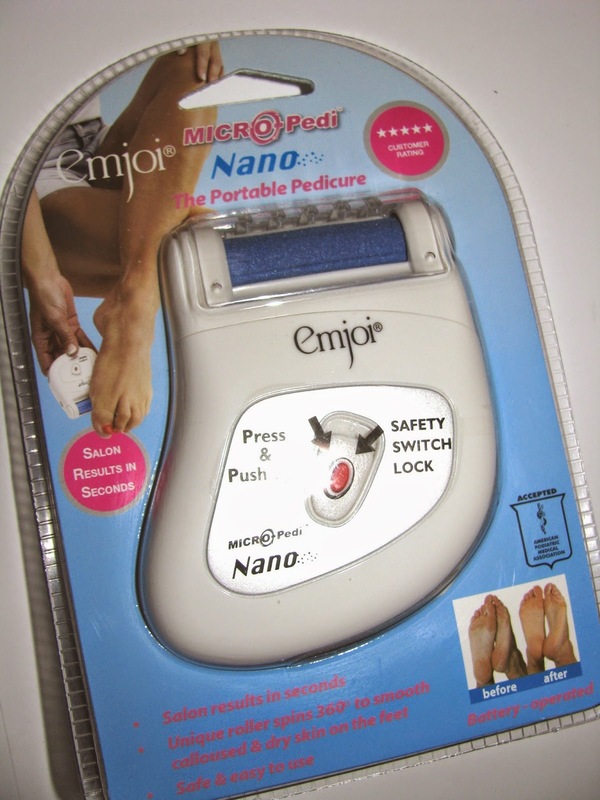 The Emjoi Micro Pedi Nano is $ 24.95 . At www.emjoi.com and Amazon you'll get free shipping or find it at Walgreens and other drugstores. Facial Lotions or Essences are a very popular skincare product in Asia. It's something that we're just starting to see more of here . With this new launch from Clinique, inspired by Asian consumers, and a couple others out there , I think we might be seeing the beginning of a new trend here. 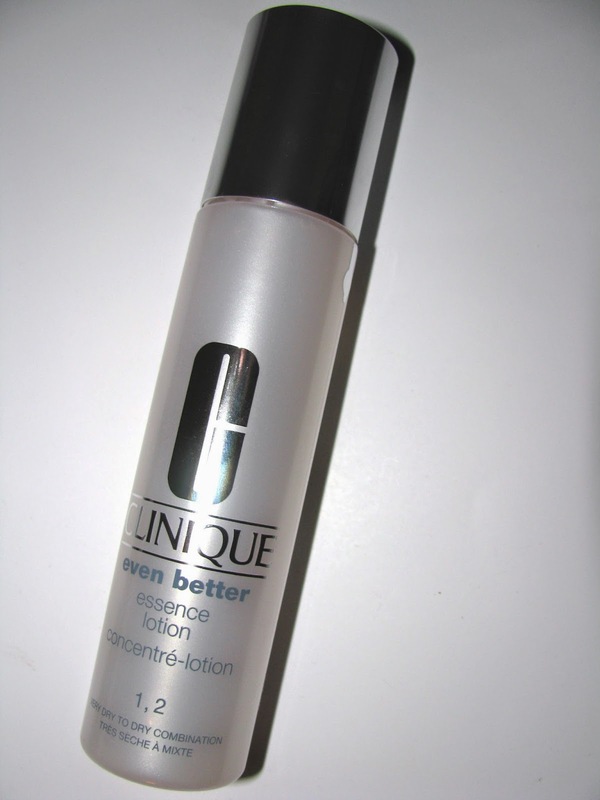 Clinique Even Better Essence Lotion is a lightweight liquid . 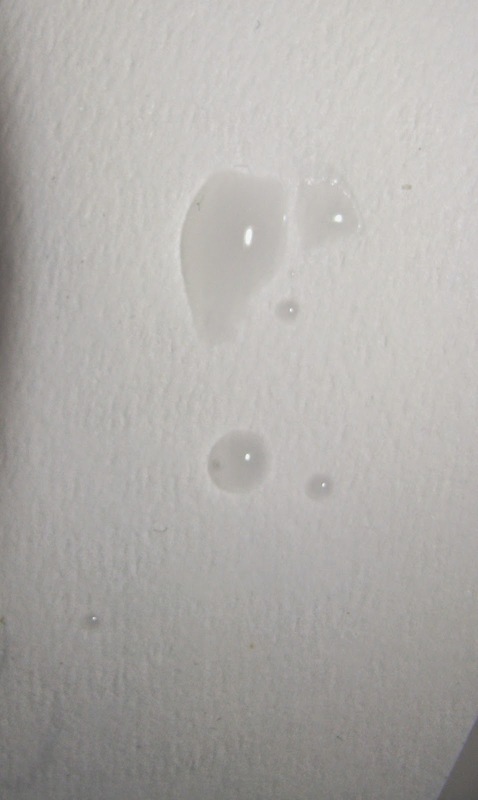 It's not really a "lotion" as we might think of one, thick and creamy but a liquid that's not quite as thin as say , water. Used to hydrate , calm , soothe and prepare skin for moisturizer these can be used alone or as a first step in your skincare routine after cleansing. Clinqiue's come in two versions one (skin types 1, 2) for drier skins and one for oilier skins( skin types 3, 4 ). I ended up with the drier one which isn't my skin at all, but none the less I was anxious to try this. 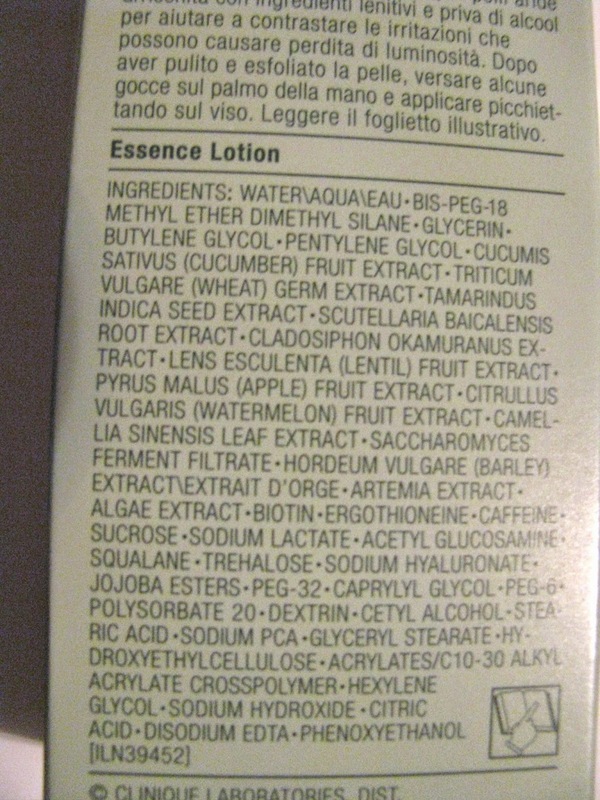 Even though it has hydrators including Olive, Squalane, and Jojoba Esters , along with what Clinique calls NMF Complex using Watermelon Extract, Apple Extract, Lentil Extract and Sodium PCA to help maintain skin's moisture levels, I didn't find this to be overly moisturizing. It was just enough. 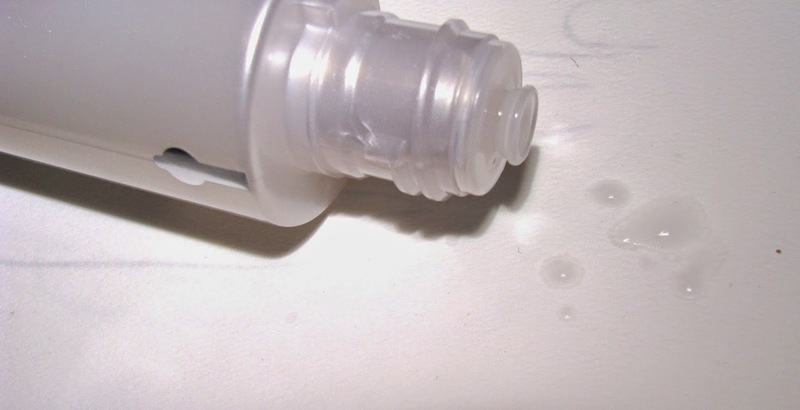 The lotion sinks right in, leaves behind no greasy feeling and skin feels comfortable . For me , I can use this as is for moisture. For those who have dry skins, you most likely would need a serum or moisturizer over this . Since Essence Lotion is part of the Even Better line , there are brightening ingredients in there as well and I noticed a little brighter look within a few days of use. I love the lightness here, it's so great for upcoming warmer months when we usually don't want anything too heavy . It's a keeper, and I want to eventually try out the oily skin version. That has ingredients to normalize sebum production over time, which I would love. Clinique Even Better Essence Lotion is available at Sephora through April , and everywhere after that and is $ 32 for a 3.4 oz bottle. Arriving in stores now is Bleached Neons Color Show. These are LE and available for the month of May only. There are 7 shades in all , Day Glow Teal, Ultra Violet, Lime Accent, Citrus Collide, Bleached in Peach, Pink Punch, Coral Heat. These are so Spring sunny day fun and a great way to embrace bright colors without going the full neon look. 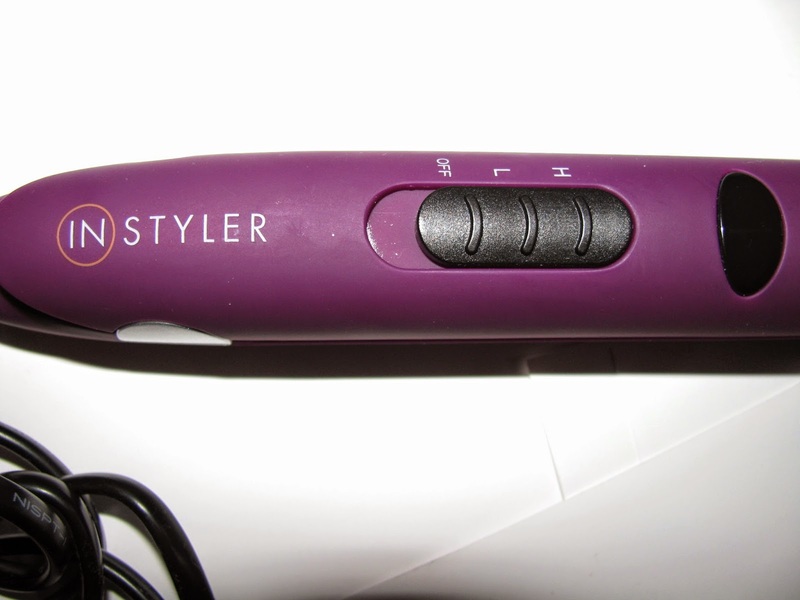 From the people behind the , dare I say, iconic InStyler comes a new tool to help make your hair look better. 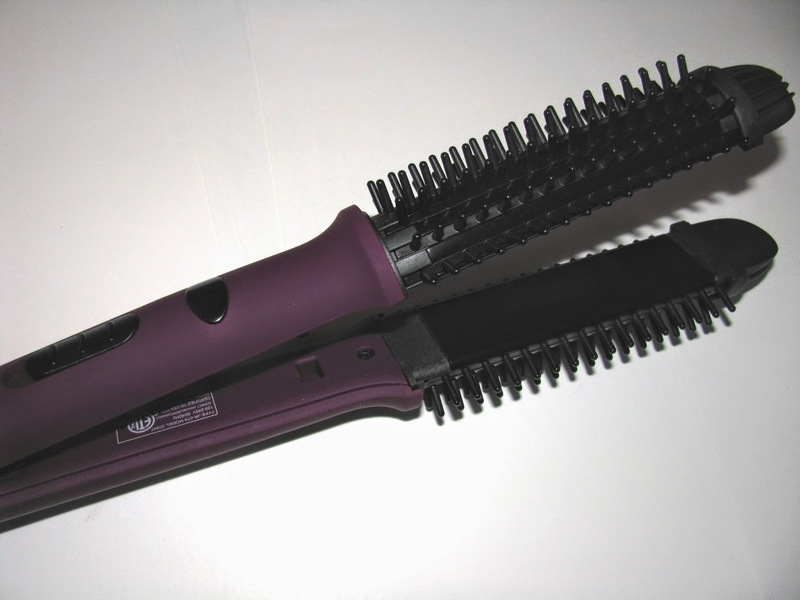 The Ionic Styler Pro is a hot brush and flat iron in one . It's rather neat as the brush splits in two to become a flat iron. 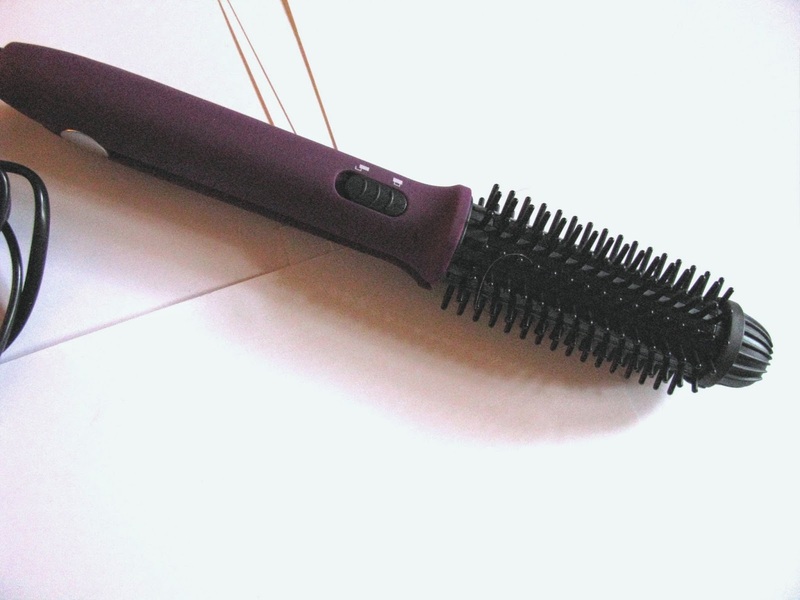 Push back together and snap the closure ( and it does stay closed when using as a brush ) to use the hot brush. I'm more interested in the brush than the iron personally, but having them both on one saves space and cost on two separate tools among other things. 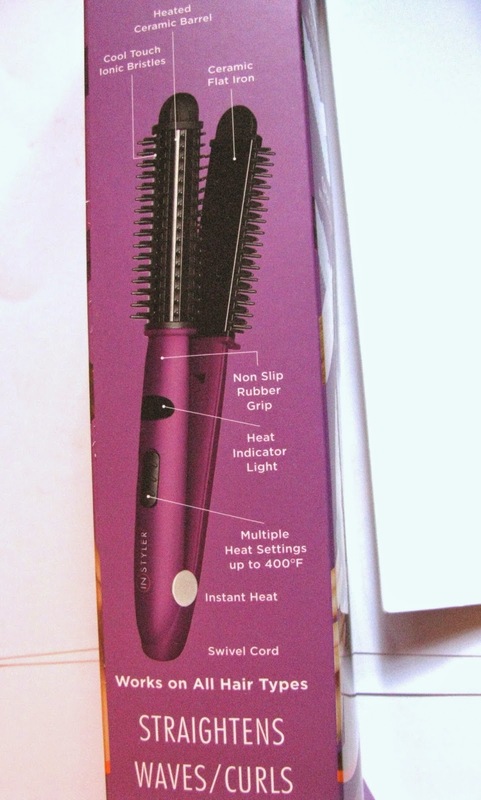 There are two heat settings up to 400' and the brush bristles are " cool touch". 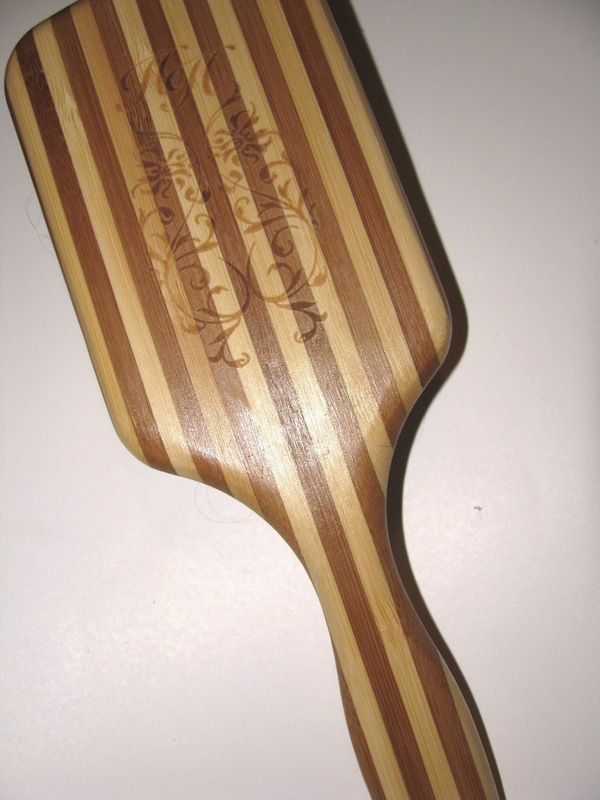 The brush gets hot , but not burn your hair hot and it gives my hair great volume especially at the crown which my long hair tends to weigh down and nice waves all over. It took just a few minutes to get a great look. The flat iron plates are smooth ceramic to tamp down that frizz. I can easily see this duo tool becoming a staple. The mom even tried it on her fine hair ( the brush only) and loved it. InStyler Ionic Styler Pro is $ 49.99 at Ulta stores. 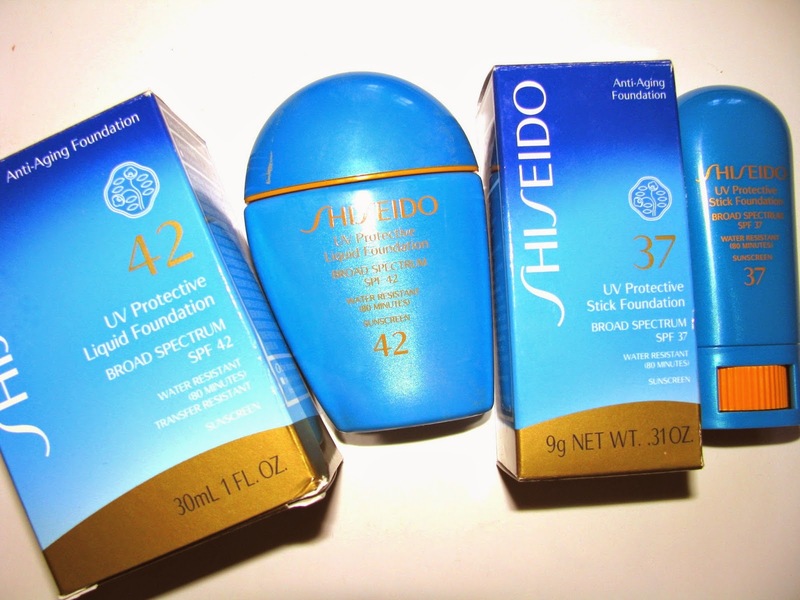 Shiseido is re-launching two of their Sun Care Foundations . 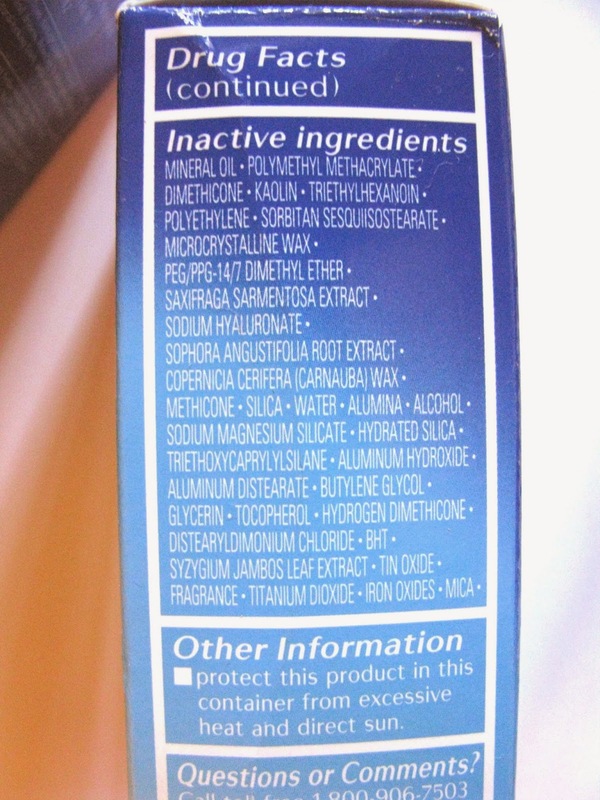 The new formulations feature the activized ingredients of ProfenseCEL which inhibits enzyme activity that causes wrinkles and uneven skin tone and Super Veil -UV 360 that is a patent-pending technology helps ensure even coverage over the skin’s contours for effective protection from the sun. 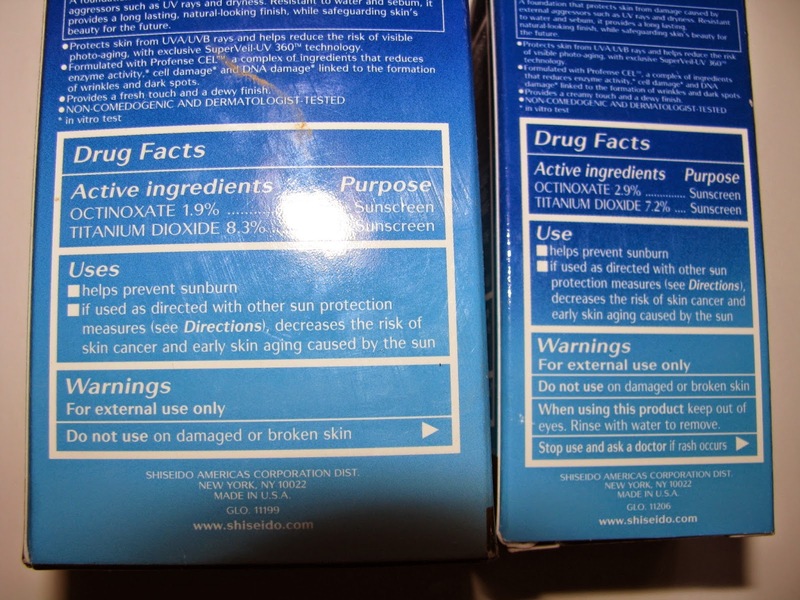 Both of these foundation are high SPF with physical and chemical sunscreens. 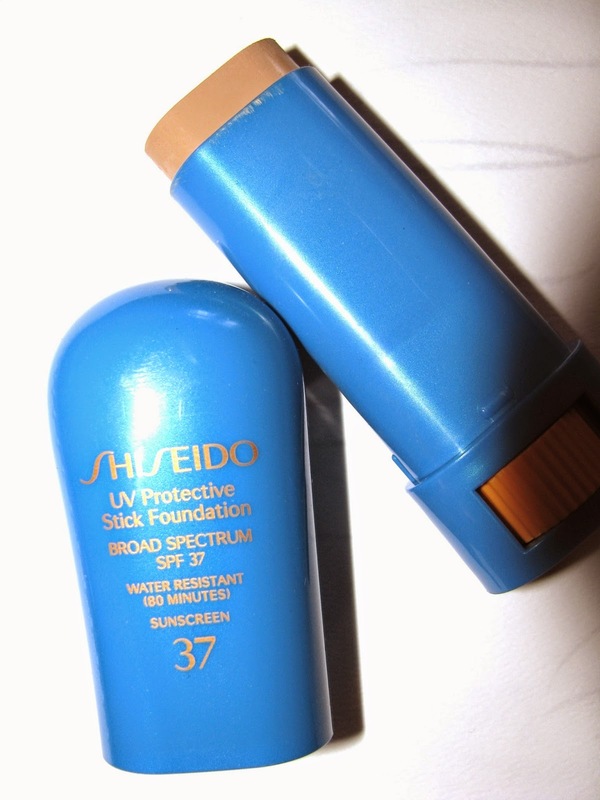 The UV Protective Foundation Stick is one of the most covering foundations I've used. It's simply fabulous. Full coverage but it doesn't feel or look heavy. It does have oil as the first ingredient so this is more iffy for oily skins , but it doesn't feel greasy on. My skin looked flawless with this . 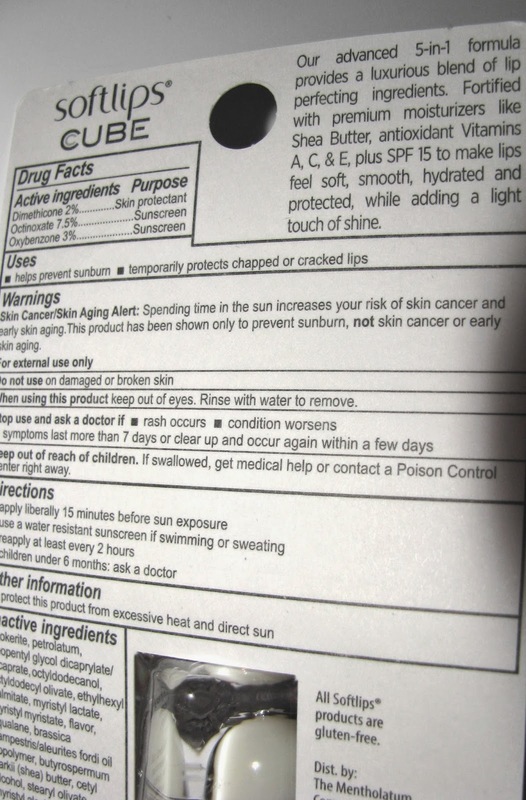 The SPF is 37 and it's said to be resistant to water and sebum. 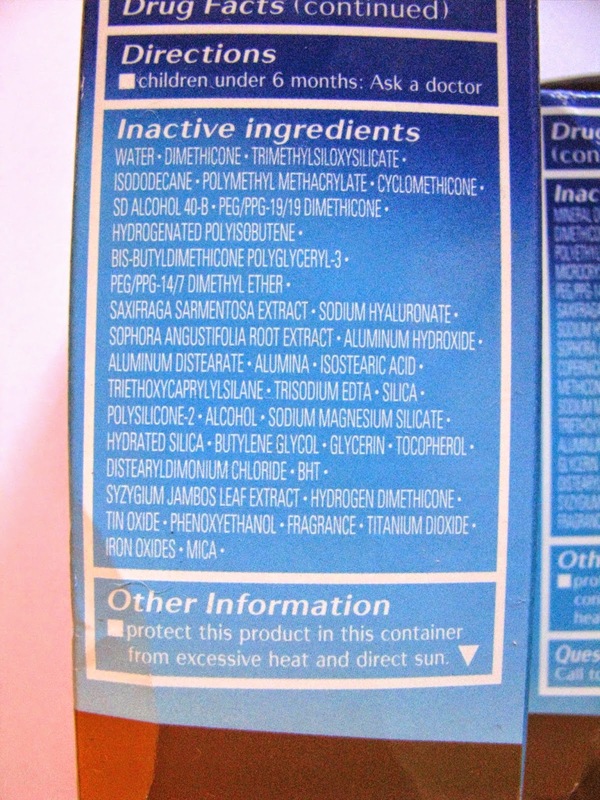 Considering my semi oily skin I didn't get much oil breakthrough in the T Zone, some yes but not a lot. Shown in shade Fair Ivory. UV Protective Liquid Foundation also has good coverage although not quite as full as the stick . It does however leave behind a semi matte, nicely perfected face and is also water and sebum resistant. The liquid is very thin, so one thing to watch is that it flies out of the bottle tip easily. 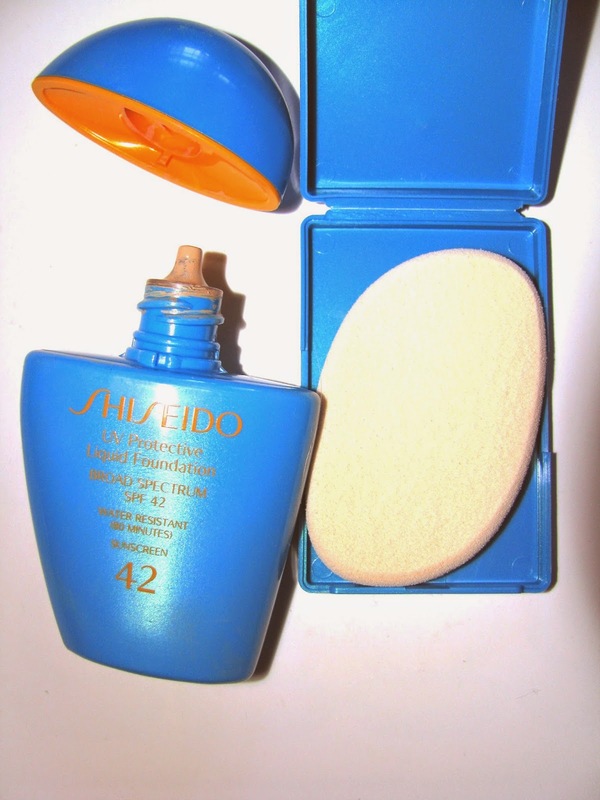 It's SPF 42 and comes with a sponge in it's own compact. Shown in shade Light Beige SP20. Have you checked out the new fragrance line Love2Love by Coty at Wal Mart ? They are well priced at $9.98 (for 3.4 oz) and $6.98 for (240ml) and come in four scents , Orange Blossom White Musk, Freesia Violet Petal , Jasmine Sprakling Mimosa,and Fresh Rose Peach. Love2Love along with Wal Mart want to send you to Hawaii. Sounds like a great idea , right ? Sunny azure beaches , surfing and all. Just design your dream date including destination ( I picked London naturally) , share it and you could win. There are also 17 weekly prizes of Fandango and American Express Gift Cards. Click here to enter and share with #love2lovewalmart. Good Luck . Here's another fun piece of jewelry debuting tomorrow from mark. as part of their St. Barts collection. 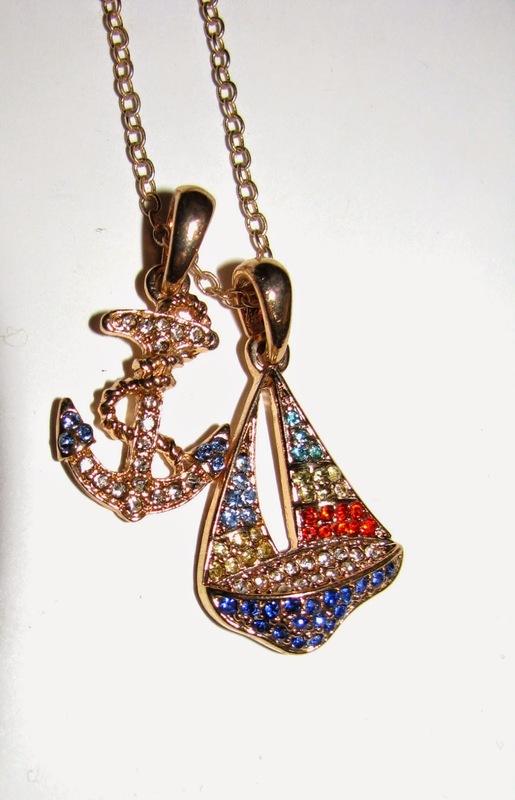 Sail Away Duo Charm Necklace features two multi stone goldtone charms that perfectly channel the nautical theme we are seeing a lot of this year. I've been wearing mine a lot already . One of the things I love most is the longer chain. It's 24 " overall but can be adjusted shorter . This won't get lost under a crew neck or hang to far into a v neck . Plus it can be paired with shorter chains as well. The charms are small but not tiny with the sailboat coming in at 1" not incl. the bale. 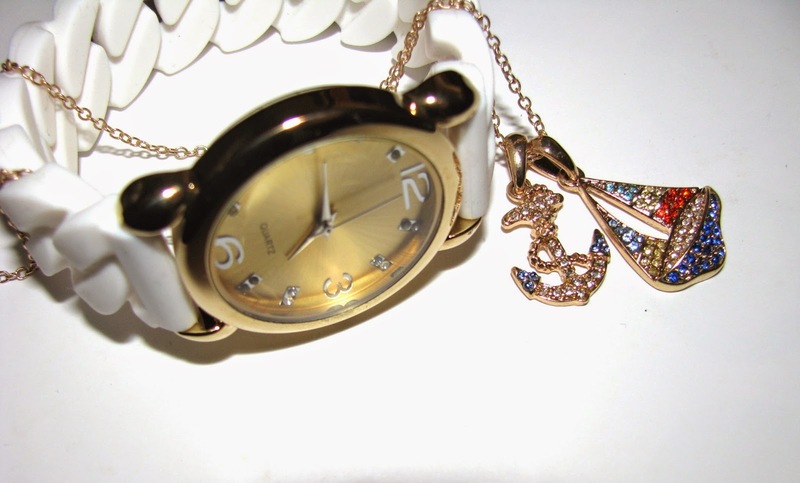 It looks cute on it's own but also makes a great partner to the White About Now watch I showed last week. 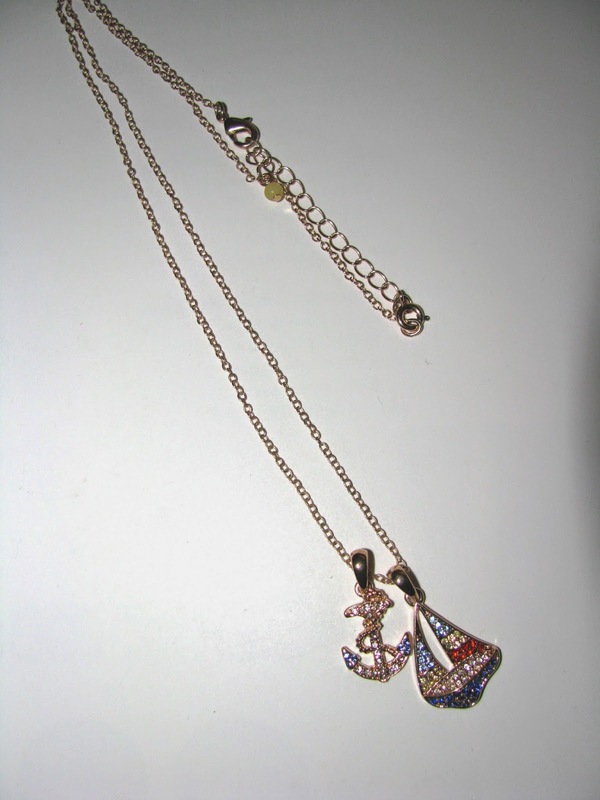 mark Sail Away Duo Charm Necklace is $ 20 at www.meetmark.com beginning April 18th. I love Lorde . Do you ? First off there are her songs which I admit to listening to over and over . Then there's her not afraid to be herself persona. She seems very cool and far older than her years. She calls herself a weirdo in the video below, but I wish she wouldn't. Different maybe but so what ? 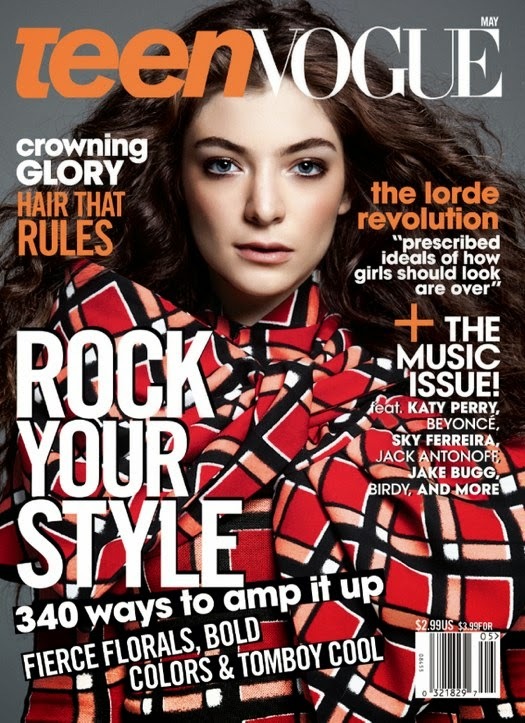 She's covering May's Teen Vogue . I love her as a role model for teens, girls etc. For one thing she keeps her clothes on. No sheer bodysuits or less for her. Her quote on the cover "prescribed ideals of how girls should look are over" is wonderful. I only hope it's true. I always gravitated towards rocking women as influences or whatever you will call them growing up. Pat Benatar, Debbie Harry. Yes they were pretty but they did it their own way. Pat was singing You Better Run, not come here and let me swoon for you. Debbie told us about the Heart of Glass that bit her in the , you know where . The ladies of Heart fall into this category as well along with Joan Jett . I loved and still love those songs. I was not a pretty in pastel flowers kid once I got past 6 and even then only on Easter. No apologies. Lorde is such a huge presence right now. I hope she has staying power and stays true to who she is. For a look at the makings of the cover and an interview with her , hit the video. The Proenza Schouler x MAC collab has been a hotly anticipated one. It's almost here and while it's a smaller collection there is plenty to choose from. The packaging is a metal ombre look and I really like it. The tubes that house the lipsticks are heavy. I have two of the new lipsticks , Mangrove and Pink Fringe. Neither are for the shy. 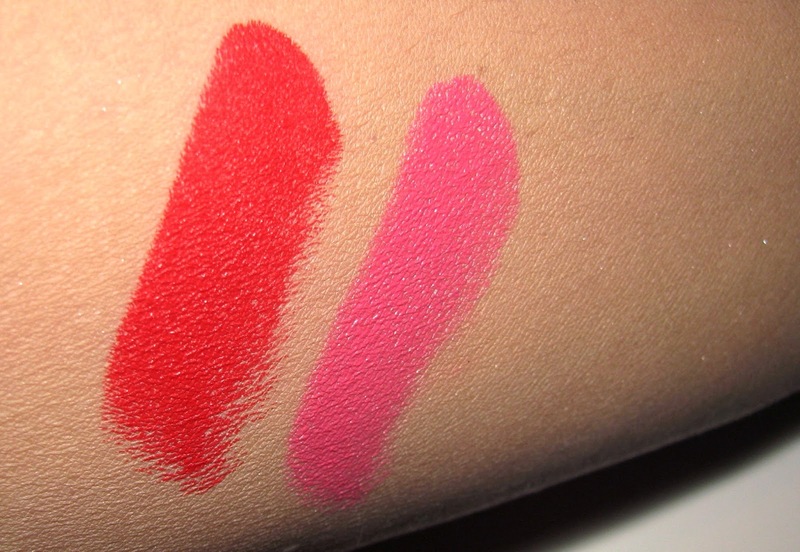 Mangrove is a bright coral red, more red to my eye and a matte, while Pink Fringe is a what MAC calls a "vivid flamingo pink" , and right they are. In the tube this looks to have less lip impact than it does on lips. It's bright and a bubblegum sort of pink . Pink Fringe is a satin . 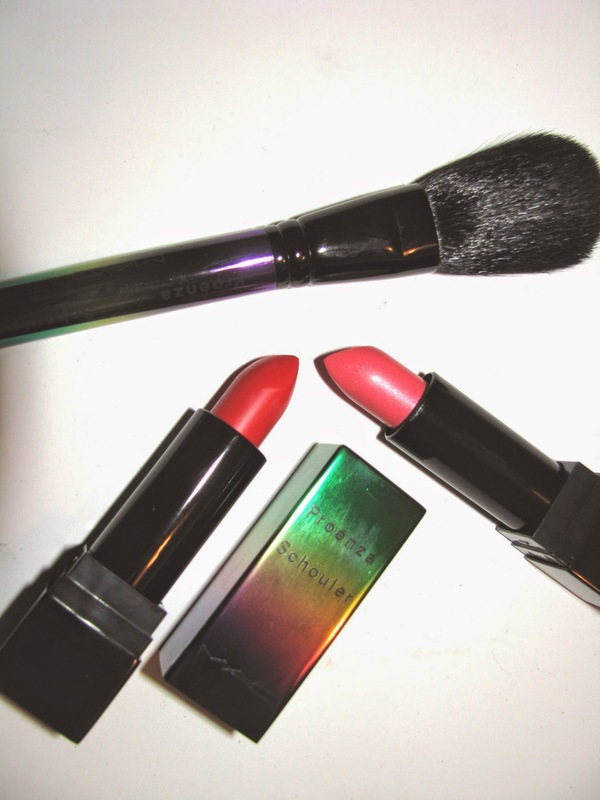 MAC Proenza Schouler is on counters April 24th, online April 21st and is LE. 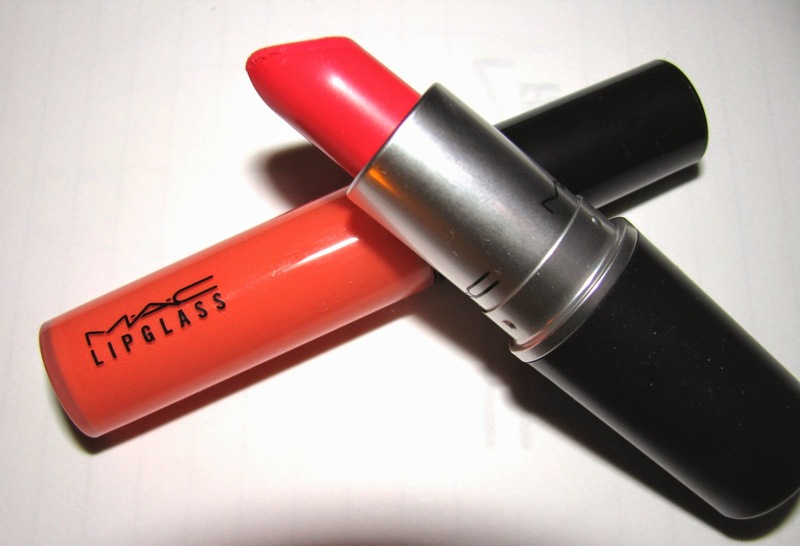 MAC's Spring color collection Playland is all about fun, punchy bright colors. 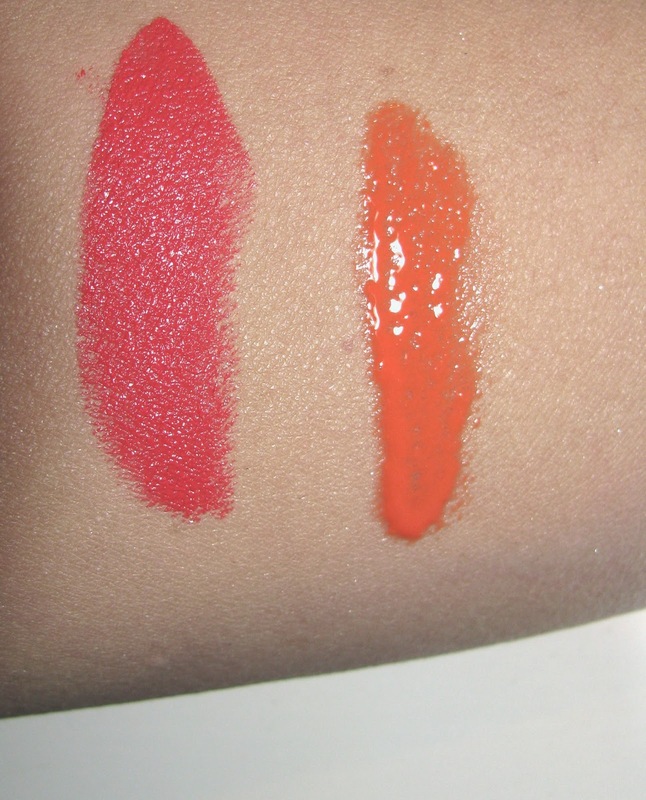 Two lip shades have caught my eye , especially the orange one as once weather warms up I am all about those colors. Live It Up Lipglass is what I'm calling Creamsicle. It's bright but not that bold. is more peach than orange and looks more toned down on the lips than the picture makes you think. Love this one. Toying Around is an amplified formula lipstick . It's called Hot Coral Pink, and I think of it as hibiscus , a shade we're seeing a lot for Spring and one that will go right into Summer. It's got high pigment saturation and will look good on pale or bronzed skin . MAC Playland will be online tomorrow and in stores April 17th. It is an LE collection through May 29th.